Hello everyone and happy (late) Monday! I hope all of your weekends were lovely and filled with fun. I spent mine studying and to be perfectly honest, I had a really wonderful time doing just that. I suppose I did take breaks for brunch and some shopping and buying all my Thanksgiving supplies (which I’m super excited about), but otherwise it was a super chill time and I feel like even though I’m still extremely nervous about my upcoming tests I’m feeling a smidgen of a bit more confident. 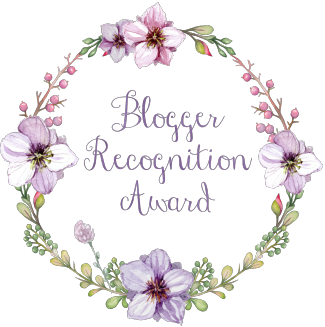 For now, let chat about the lovely Krista Kemp and her blog, From Food Stamps To A Future, who graciously nominated me for the Blogger Recognition Award! First of all, a huge THANK YOU to Krista! It was so kind of you to nominate me for this award and I’m thrilled to be able to say some fantastic things about your blog on here. I was first drawn to Krista’s blog by our mutual love of crafting and DIY projects. Krista is an incredibly talented creator and an amazing entrepreneur – she has that knack to see the greatness in what she ( and other people) can offer to others and is then able to gain a market for her talent. That alone is something I look up to so highly because I sure as hell can’t do it haha. The things that really keep me coming back to her blog though are her incredible life story and warm personality. Without giving too much away (because you really ought to read her All About Me page yourself) she has lead a life filled with the ups and downs that often crush lesser willed people. Life has been difficult for her, but instead of letting that push her down she’s learned from the obstacles she’s had to face and is sharing that knowledge with the world through her blog. Even more inspiring Krista is the type of person who will offer friendly words, encouragement, and advice without asking for anything in return – people as giving as her are rare. So I’ll finish up by saying again thank you so so much for your nomination Krista, you’re a huge inspiration to me and I hope we become even better friends! I originally started this blog way back in 2011 as a place to document recipes and provide my friends some help in the cooking department. Unfortunately I wasn’t terribly motivated to post because instead of cooking and writing about it at home I could instead go to my friends houses for a night of cooking, drinking, and girl time. The competition as too good and my blog ended up severely neglected. It wasn’t until I moved from Ohio to California that I really got into blogging. I used it as a way to not only post recipes, but to keep in touch with my family and friends back home. I wanted to show everyone how weird California was and since group texts can be terribly confusing what better way to do that than write rant about it here. I’ve since become accustomed to most things, but still sometimes… Anyway, I started posting more and more until I got to where I am today! I will say it’s a little surreal to me that ANYONE outside of the people who personally know me want to read my posts, but hey you’re more than welcome! I feel like I am the worst person to ask for blog advice (mostly because I consider myself a complete noob at this), but c’est la vie! I think the best tip I can give is to not box yourself in when it comes to blog content. A huge problem I had when I first started was that not only was it easier to cook with my friends, but I kept getting writer’s block because I had barricaded myself into such a narrow focus. I know every successful blogger out there has given the mantra to make sure your blog has a defined objective – I just don’t think anyone should feel as if they are trapped writing on only one specific topic. 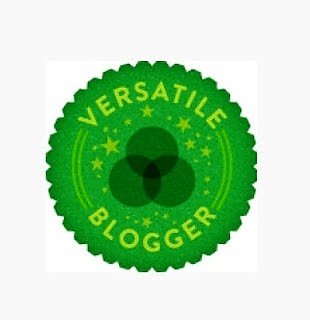 Your blog should be your place to freely express yourself and have fun! And since almost every person I’ve met in life is more than one dimensional feel free to let your blog be that way too. I suppose that’s it then! If you’ve been nominated (or are just interested) please click on the award image to visit Edge of Night, Eve Estelle’s blog, where the originating post was published! As always, have a fantastic day! What beautiful compliments to wake up to! You have made my day sweet Tricia! Thank you! Congratulations on the award, you are most deserving, and best of luck on your upcoming tests! I have a feeling you’ll ace them! Congratulations Tricia and Thank you so much for the nominations.